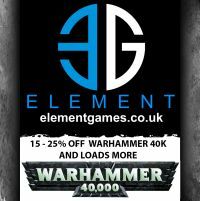 Well, as of the writing of this post, there are just over 3 weeks to go to the LVO 2019. List submission is 25th January, so I’m in my usual pre tournament list panic! Quite different to the list I’ve been playing lately. Essentially I’ve swapped out 2 Starweavers and their Troupe’s, for a Craftworld Supreme Command Detachment and a 12 Player Troupe with Caresses. However, to do that I’ve had to take the Caresses off the embarked Troupes, and I only have 2 Starweavers with Fusion Pistols, rather than my usual 3 or 4. Going into the LCO, I wasn’t convinced. The Supreme Command Detachment is a mixed detachment to give me access to the Biel Tann Relic on the Warlock allowing him to re-roll psychic tests, and the Saim Hann Stratagem which lets the Autarch advance and charge. All three are of course very useful. The Autarch gives me 2 models that can move 22” and charge, ignoring overwatch (the other being the Solitaire with Starmist Raiment), making breaking into Tau Castles a little easier (not easy …. just easier!). He’s also good at mopping up little Squads (Scouts, Heavy Weapon Teams, Rangers etc), and gives me CP’s back on a 6. The Farseer with Doom and Executioner is (usually) legendary! Doom makes that Haywire Bikes and the Ravagers much more deadly, and the extra Smite and Executioner means I don’t need to take Shard of Light on the Shadowseer, freeing her up to take Veil of Tears, which is important for keeping the big Troupe alive. And of course Jinx, is equally powerful. HOWEVER, Doom and Jinx don’t always go off ….. and another unit of Haywire Bikes will always be able to shoot, and 12 bikes is more survivable than 6! I suspected I just needed more practice with them, not being used to all the psychic shenanigans. On occasion I’ve messed up the order of casting powers, and also the various re-rolls. The big unit of players is a blender. I brought them into the list to go through hordes and large blocks of infantry, which they do pretty effectively. However, they are a tricky unit to use. Getting them in the right place with the right powers and the right “ buffs” to both protect them, and use them effectively is hard. The lesson I’ve learned is that you always need to have a Shadowseeer beside them, with both Twilight Pathways (don’t be tempted not to take this power) and Veil of Tears. The secret is having a plan for how they survive after they kill the first unit you point them at, either wrapping a unit that doesn’t have fly, or getting behind terrain, or just having a Shadowseer beside them with Veil and Shield from Harm. This has been the hardest thing about playing them so far. Until the LCO, I was tempted to go back to my old list for LVO … but …… I couldn’t help feeling that, if I get this right, it might be pretty effective. So, the LCO, was very much a trial for the list, and the changes I’ve made. Against Drukhari – 3 Ravagers, 4 Venoms, 2 Archons, 2 Razorwings and a Void Raven, 2 Farseers, some Rangers and a big unit of 20 Guardians. I got first turn, used my redeploy Strat to load one side of the board, where he had built his castle … and rushed him! The idea was to kill one of the Ravagers with the Bikes, another with my Ravagers, and down one of the flyers with the Fusion Starweavers. 66% success! I did kill 2 Ravagers, but the Fusions Pistols wiffed (to be fair, he did play Lightening Fast Reactions, so the Voidraven was -2 to hit). However, I managed to wrap a unit of Kabalites with the big unit of Players and the Bikes, so turn 2 was looking good….! Except I didn’t know what Void Ravens do…! He flew over the big unit of Players, and killed 8 of them! It went a bit downhill from there, but not too badly. A reasonably high scoring loss. I made a couple of other mistakes – I underestimated the flyers. They made short work of the Ravagers, and made getting Recon very easy. I also underestimated how difficult it is to get powers off in the face of 2 Farseers. Don’t think I got Doom or Jinx off once all game. And finally, I misplayed the Autarch, leaving him in the back field for no apparent reason!! I also realised that having the Shadowseer cast Twilight Pathway on the Troupe, and still being close enough to give it “Shield from Harm” is almost impossible. You would need 2 Shadowseers to do that, which too big an investment. And finally, I chose the wrong warlord trait – I took Fate’s Messenger on the Autarch, but I should really have taken Skystrider on the Troupe Master so he could have jumped out the Starweaver and given the Troupe and Bikes re-rolls to wound. Looking at my opponents list I was wondering how he lost his first game!! Eldar with 3 Hemlocks, 10 Harlequin Jet Bikes, a Shadowseer, 2 Farseers, 10 Dark Reapers and some Dire Avengers. I got first turn, but we were playing Hammer and Anvil, and he kept everything far back. I was able to boost the Bikes into his back field and fail to kill a Hemlock (!) I did manage to assault one of his Farseers, kill him and then wrap a unit of Dire Avengers. That put me in range of an assault on his Dark Reapers next turn. They were were of course cowering in a building, waiting to pop out, kill something and then Fire and Fade back in. The plan was to Vect Fire and Fade, and then shoot them with the Ravagers, and assault them with the Bikes. However, my opponents turn 1 was pretty devastating – he killed all 3 Ravagers with a combination of Hemlocks, Dark Reapers and Bikes! In turn 1 I was able to get my big Troupe into an enclose ruin in the centre of the board. With Twilight Pathways they have a 35” threat range, meaning they pretty much control the centre of the board, and were immune to anything other than the Tempest Launcher. From their “lair” they pounced on my opponents Haywire Bikes, and with a little help from the Archon, killed them. Coupled with some slightly above average rolling from Fusions Pistols I also managed to kill 2 Hemlocks. The Solitaire however, refused to kill my opponents Shadowseer, and my bikes bounced of the Dark Reapers!! I almost did it, I fought and clawed and scrambled for points. The pivotal moment was the big Troupe making a long charge out their ruin to try and kill a unit of Dire Avengers, and then wrap a footslogging Farseer. That would have made them immune to the Dark Reapers tender mercies, allowing them to butcher the reapers next turn …… they needed to roll a 5 to get the Dire Avengers, but something like a 7 or 8 to also catch the Farseer…. They rolled a 5! Another loss. Good game. Showed 2 things … the vulnerability of the Ravagers when everything else has a 3++ and -1 (or -2) to hit, and the power of board control from havIng the big Troupe in the enclosed ruin. But also, I made a mistake in over extending to try and kill a Hemlock turn one. I should have stayed back, forcing the Hemlocks to come to me (which they need to, given their short range), and then killed them before dealing with the rest of his army. It’s also something I could have done in Game 1. My goals was to go 3-2, so the pressure was on! Next was against “the list”. Castellan, guard, 3 Shield Captains, 3 Hell Hounds and a Basilisk. I got first turn, and caused more damage than I think I have ever caused in one turn. I got Doom and Jinx of on the Castellan, rolled well on the Bikes, and killed it. It promptly blew up, and killed 2 of my opponents characters, a bunch of guardsmen, put a couple of wounds on a Shield Captain and killed a Hell Hound (which I had put wounds on earlier). The Hell Hound then blew up, and killed the wounded Shield Captain! In the same turn I killed another Shield Captain and a Hell Hound. It was pretty much all over after that. This game really showed me the power of the Craftworld Psykers. In the last 2 games they were bit lack lustre, with denies from other Eldar Psykers, but in this game they shone. This was almost a rerun of Game 1 – Drukhari with Ravagers, Venoms, Planes and a Craftworld Battalion for 2 Farseers and some Rangers. Having learned my lesson, I reserved the big Troupe, fearing the Void Raven. I also surrounded the Craftworld Supreme Command detachment with bikes and moved everything forward in a bubble, supported by the Starweavers. I killed a bunch of stuff turn 1, and was in his base killing his dudes turn 2. I positioned my Psykers more effectively this game, and they performed far better, however, I still didn’t get the positioning of the Troupe Master right. I could really have done with re-rolls to wound on the Skyweavers. The big Troupe (when it came on) was effective at, mopping up Rangers. Win to me. Learning points this game – moving the Supreme Command and the Bikes together as a unit, supported by the Starweavers is powerful. You can’t shoot the characters because of the Bikes, and the Bikes are -2 to hit, and have a 3++. Deep striking the big Troupe was the right plan. They would have been murdered by the Voidraven if they were on the table, and because of the deployment (corners) would have been too far away from anything to be effective if I had deployed them on the board. Deep striking them in to mop up Rangers, stopped my opponent getting board control. Again however the Ravagers didn’t do much. They were sitting ducks for my opponents Flyers and were all gone by turn 2. Last game and I needed to win it to go 3-2. Against Deathguard – 2 Princes, 2 Bloat Drones, 2 Plague Burst Crawlers and 3 Blight Drones, a bunch of Plague Bearers …. and Mortarion. Now I have never played against Mortarion, and as I read his Stats and abilities my heart sank – he really needed to die ASAP. Happily, although my opponent got first turn, we were playing Hammer and Anvil, and he didn’t have warp time. So I deployed out of range and everything in my opponents army moved forward and his shooting did nothing. In my turn I Doomed Magnus, Jinxed him and killed him with Fusion Pistols and Ravagers. In my opponents turn he put some wounds on a couple of Ravagers, and killed a Bike … oh and I killed a Bloat Drone in overwatch!! In my next turn I killed both Demon Princes, the remaining Bloat Drone and a bunch of plague Bearers. I had reserved the big Troupe again, and it came in to threaten my opponents back field, and kill more Plague Bearers. It was pretty much all over …. win to me. Learning points – again, reserving the big Troupe to threaten my opponents back field worked well. Doom and Jinx were again, godly. There is no way I could have killed Magnus without them. But this was the only game where I thought the Ravagers pulled their weight. After a slow start, I now really appreciate the Craftworld Psykers, and the Autarch. Doom and Jinx are strong, but so are the extra denies, and the extra mortal wounds from Smite and Executioner. The Autarch is also a nice option to have … kinda like an Eldar Smash Captain! The big Troupe is more of a slow burn. I can totally see their worth, but I’m still not playing them correctly. The surprise is that the Ravagers have a question mark over their head. I’m reluctant to drop them because they are so effective, but so would another unit of 6 bikes. The problem is, they are almost too good meaning everybody targets them, and they are by far the most fragile unit in my list. Agents of Vet is of course amazing, but I wonder if it’s not more of a trap now. At 4 CPs, where I no longer regain CPs as effectively as before, it soaks up too many command points. So further thought necessary, but I’m edging towards dropping the Ravagers for another unit of 6 Skyweavers, and some other stuff.